Here is how to import your videos, music and photos from your phone, camcorder or computer to Filmora. Connect your phone, camcorder or camera with your computer. Once it is connected, click on the Media button in Filmora. At the top, click on the arrow icon next to "Import" and choose "Import from camera or phone" in the drop down menu. In the pop-up window, choose your camcorder, camera or phone to import from. After it finishes scanning, you can choose the files you need to import to Filmora for editing. 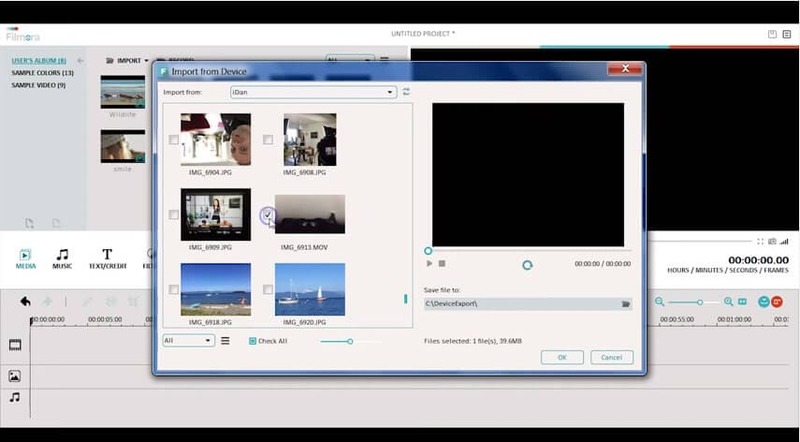 You can also import the media files saved on your computer for editing. To import them, you can go to Media section, and select Import. A pop-up window will appear for you to select the audios, pictures and videos from your computer. You can also import photos and videos directly from your Facebook and Instagram accounts using Filmora. Check out the next episode to see how! 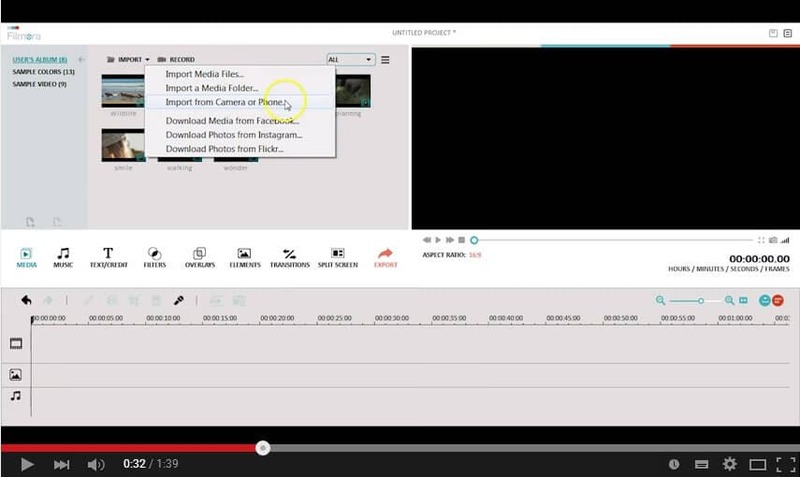 Check out our complete 101 video tutorials to learn how to use Filmora.